Many industries are affected by the preparation and arrival of the Super Bowl, fans, teams, vendors, and NFL experience coordinators. 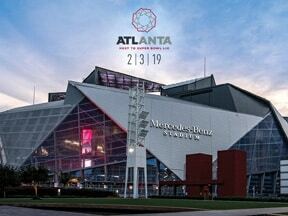 The 53rd edition of the Super Bowl will be played at the Mercedes-Benz Stadium in the heart of downtown Atlanta. The Mercedes-Benz Stadium was built with a $1.6 billion price tag and erected after the demolition of the old Georgia Dome Stadium which hosted two Super Bowls previously – one in 1994 and the other in 2000, over 18 years ago. The Super Bowl game to be held on February 3rd will be the first Super Bowl in the newly built stadium – a carrot often given to cities which build new arenas. The City of Atlanta has grown since the last Super Bowl event held in the city in 2000 as new infrastructure and buildings were completed and 1.6 million more residents now populate the city. Currently, Atlanta ranks in the top-10 metro areas in the nation thanks to its high rate of job growth. The city expects to see financial gains from hosting the Super Bowl in the hundreds of millions despite expenses of $46 million in order to appease specific requests made by the NFL during their bid. The Atlanta Committee responsible for the planning and execution of the event comprises of representatives of the Atlanta Sports Council, the Atlanta Convention & Visitors Bureau, the Georgia World Congress Center Authority, and the Atlanta Falcons. The Committee wholeheartedly believes the effort and expense behind the bid are more than justified by the economic benefits of hosting the Super Bowl. However, some critics say the estimated figure provided by the NFL is often over-inflated and misleads hosting cities of the real revenue expected to be seen from hosting the Super Bowl. What Are The Numbers, Really? The Marietta Daily Journal estimates the economic impact of the Super Bowl to be $400 million, which is identical to the estimated amount quoted by the NFL. However, several individuals have come up with more conservative figures for the real potential economic impact Atlanta will see during the 10-day Super Bowl event starting January 26th until February 4th. These individuals also claim the NFL’s reported figure do not include any costs for in-house services, displacement, substitution, leakage, or effects on neighboring cities. Victor A. Matheson, a sports economist at the College of the Holy Cross has written extensively about Super Bowls and says the city of Atlanta may only see between $30 million and $130 million in extra revenue generated from the Super Bowl; if he is accurate on the lower end of the range then that means the city would be in the red $16 million. The Atlanta Falcons have also produced their own estimate of the impact to be around $125 million while another source says the revenue produced may only be $180 million – both estimates leave the city in the green with a positive outcome. Either way, these numbers are not as impressive for net gains considering that Atlanta earned $58.9 billion in its tourism industry in 2015. When comparing this, then it would seem that the Super Bowl is not a large economic benefactor. However, this is like comparing apples to oranges - many factors played into the revenue made in 2015 which cannot be replicated exactly through a single event. Hard figures like this are notoriously difficult to calculate, especially for the Super Bowl. The only true way to get an exact figure of the economic impact is to measure and audit the aftermath and effects on the region one year after the event. This method would reduce the inflation seen in most economic impact reports and report actual numbers. The NFL is specifically tapping On Location Experiences (OLE) to manage the entertainment and events during the 10-day spectacle - OLE was announced as the NFL’s official hospitality partner for its Super Bowl experience. 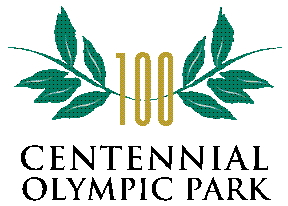 The Centennial Olympic Park is said to be the official NFL Village site where hot air balloon rides, fireworks, and concerts will be held along with the Super Bowl Experience Driven by Hyundai indoor interactive theme park in the Georgia World Congress Center. Doug Hertz, United Distributors CEO, said earlier that “There’s probably not any single event that has the economic impact on a city or on a region like the Super Bowl does” and he is right. The city is expected to see foot traffic pick up for local businesses, booked hotels, and full restaurants and bars. Hosting a Super Bowl is just a perk for locals in Atlanta where they’ll be able to show off their city with pride as everyone tunes in to the Game. Numerous restaurants in downtown Atlanta say they’ve already seen massive bookings and a boost in catering calls and exposure. Hosting a Super Bowl can often offset slow periods in the local industry as the Winter season is typically sluggish after the holidays and new year. The city has even extended its alcohol sales until 4 am via “pour until four” clause for the Super Bowl which is sure to squeeze extra dollars out of patrons in bars and restaurants. City officials expect over 150,000 out of town visitors and more than a million people in the city during the 10-day event. Hotel room rates are expected to triple the week of the game, with some hotels requiring individuals to stay a minimum of three nights. Most of the hotel’s downtown are all booked and have been for months. However, some Airbnb’s and smaller bed and breakfasts may still have openings for last-minute bookings. Yext, a New York-based technology firm, studied the effects of consumer behavior in the local Houston area during Super Bowl LI when the city hosted the event in 2017. Yext reported a 105% increase on click to call services regarding hotel rooms and lodging businesses the Saturday before the Game. Yext also reported a 29% increase in map direction requests to local restaurants that same Saturday, as well as, a 27% increase in map direction requests to banks and ATMs on the Thursday and Friday before the Game. Across the nation, Yext reported a 21% increase on click to call restaurants for pick-up and deliveries the day of the Super Bowl, as well as, a 12% drop in requests for map directions to restaurants the day of. This Yext report signaled a strong demand for local hotels, restaurants, retailers, and financial services surrounding the Super Bowl while showing a national trend of staying-in during the event. While lodging, restaurants, and retail shops are expected to see most of the impact from the Super Bowl, critics say the dollars are not equally distributed and they have a point. Surging profits often bypass front desk personnel, housekeeping, bellhops, busboys, waiters, and salespersons to go directly to the owner of the business and/or property who can oftentimes be located outside of the state, landing those Super Bowl dollars in his or her pocket rather than the locals’ and the community. Hosting cities can also draw funds and resources from neighboring cities causing unexpected expenses or allocation of resources like police units and transportation services. This case was seen during the 50th edition of the Super Bowl in Santa Clara where neighboring San Francisco ended up shelling out $5 million despite the stadium location and hosting expenses covered in another city. To mitigate and ease this kind of unexpected expense, states and cities considering to be hosts for the Super Bowl should consider legalizing sports gambling first. The Super Bowl naturally attracts more wagering than any other sport in the US, last year’s Super Bowl wagering figures were estimated to be $4.75 billion as reported by the American Gaming Association. However, most were wagered outside of Nevada despite limited legal wagering options outside of the state. Georgia has no pending or introduced sports gambling bill in its legislature, and to be honest it’s a bit too late to consider it now despite Georgia Representative Ron Stephens's promise to draft a legal sports gambling bill. While Rep. Stephens’s bill could end up on the November ballot it offers no use for this Super Bowl. If Georgia were better prepared it could have reaped tax revenue from legal wagers placed within Georgia on this year’s Super Bowl, which is estimated to handle $6 billion wagers on this single event. New Jersey who was one of the first states to legalize and launch sports wagering operations has generated nearly $98 million in tax revenue since its operation last year. States with legal wagering are sure to see a surge in domestic wagers placed during the event. However, any legal sports gambling bill in Georgia faces an uphill battle with the state’s current Governor. Governor Brian Kemp has been quoted for his distaste for expanded gambling, particularly sports gambling. So a bid that legalized wagering may come to the Peach state is not a well-placed one, at least under its current administration. Atlanta hosted the National Championship Game and saw inefficient crowd control, inadequate staffing, and poor communication which led to a pile-up on the MARTA Five Point station platform until 2 am. The station was jampacked with arriving passengers unable to get off trains to load departing passengers. Witnesses commented that the conditions that night were dangerous and frightening. A MARTA spokesperson has said the agency has “gone to great lengths to learn from the experience”. MARTA and its officials are hoping to provide a better experience with its public transportation during Super Bowl week. The Atlanta Police Department (APD) will be the leading agency for security during the event which will require escorts and round the clock protection for team players and owners, to and from the event and at their hotel rooms, as well as, 180 officers to direct traffic on the street and at intersections, and on the ground officers for ticket fraud control. Traffic is the main item to avoid while enjoying the Super Bowl. The APD has encouraged locals and out of town visitors to use MARTA, ride shares, buses, taxis, or good ol’ sneakers to get around (this Super Bowl is said to be the most “Walkable”). The city’s focus is on alleviating traffic congestion and keeping some kind of flow, despite limited parking and lane closures. Trains will be operating around the clock, as well as, the Atlanta Streetcar as early as Friday until Tuesday. City buses will have extended hours. 10,000 volunteers will be on the ground to help welcome tourists and assist in the event. The NFL often tantalizes cities with its Super Bowl hosting honor by saying the Super Bowl can influence a city’s future business more than any other event or convention held in the US. In fact, the NFL often says that individuals who watch the Super Bowl on TV may become interested in visiting the city hosting the event after the game is over which helps tourism. Georgia’s tourism industry is not suffering but they make a point: the game serves as an advertisement for the City and positive word of mouth marketing can go a long way for future tourism and investment. However, first time Atlanta visitors arriving during a Super Bowl may only experience the city that one time and cross it off their travel bucket list. 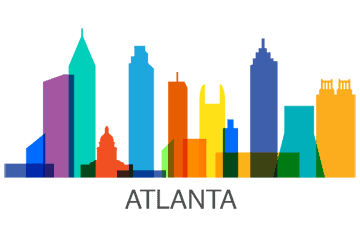 This puts pressure on Atlanta to impress individuals when they arrive as it may be their one and only chance unless the city can woo patrons to return. While the Super Bowl event is sure to attract outside spending, locals may have mixed feelings. Some may stay home to avoid the traffic and hiked prices, others may relish in the party atmosphere and spend more if they feel the funds will be recycled within the community.